As America’s last wild place, the Alaskan wilderness offers unsurpassed beauty, purity, and serenity. This isolated state features glaciers, fjords, and still unnamed lakes. It boasts wildlife in abundance and enjoys the Aurora Borealis in its colorful dance across the sky. It all makes for a wondrous refuge from the push and shove of modern life. This spectacular square wall calendar delivers the remote wilderness of Alaska to you. Join Mark Kelley on a yearlong visual journey of Alaska. 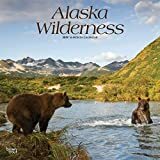 The Alaska calendar features Kelley s award-winning photography of Alaska s wildlife and landscapes while offering a spacious calendar grid for personal notations. Mark Kelley s Juneau calendar, now in its 28th year, has become a beloved feature in the homes of locals and Alaskan travelers who have been captured by Alaska and its many wonders. Printed sustainably at a fully certified Forest Stewardship Council printer. Join Mark Kelley on a yearlong visual journey of beautiful Juneau and vicinity. 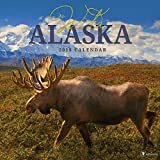 The Juneau, Alaska calendar features Kelley s award-winning photography of Alaska s wildlife and landscapes while offering a spacious calendar grid for personal notations. Mark Kelley s Juneau calendar, now in its 30th year, has become a beloved feature in the homes of locals and Alaskan travelers who have been captured by Alaska and its many wonders. Denali National Park is one of the most visited places in Alaska for a reason-wildlife! Experience Denali all year long in this wildlife and wilderness calendar. Features 12 outstanding photos-moose, grizzly bear, lynx, Dall sheep, Wonder Lake and more. Each month our Denali Nature Notes explain what is happening with the park plants and animals. Grid pages include 12 bonus photos. 13.5 x 10 inches in horizontal grid. A six-time national award winner, now in its 34th year­-an Alaska classic. Our premier publication. Outstanding Alaska landscape and wildlife photos by Alaska's top photographers. 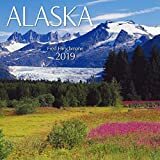 The 2019 edition includes northern lights, moose, polar bear, glaciers, whale, otter, grizzly bear, Mount Denali and more. Added features include more than 300 dates in Alaska history and names of the months in Alaska Native languages (with translations). Wildlife illustrations by Shannon Cartwright on each month complement the photos. All this plus a poster with the year 2019. 13.5 x 10 inches in horizontal grid. 34th edition. You will be able to smell the crisp, refreshing air captured in the stunning photography of This 2018, calendar. Take in the amazing animal sightings in these pristine landscapes. This 2018, 12"" x 12"" wall calendar is a top-selling format and has thirteen full-color photos with a 4-month bonus spread featuring January 2019 - April 2019.